Rick got his start in financial services as an insurance agent with John Hancock in 1975. He realized early on that while insurance plays an important role in a family’s financial security, it comprised only a portion of their total financial picture. This shared vision was the basis for the establishment of Acorn Financial Services in 1984, where Rick served in a variety of management positions, including director of training, investment specialist, and director of retirement and estate planning. In 1995, he set out on his own, establishing Acorn Consulting Services. Over the years, Rick's client base has grown purely through reputation and word of mouth. Rick serves his clients in all areas of financial planning and investment management. A dedicated financial services professional, Rick is a Chartered Life Underwriter (CLU)and Chartered Financial Consultant (ChFC). He is a past president of The Society of Financial Services Professionals, Northern New Jersey Chapter and maintains insurance and general securities licenses in several states. Rick earned a bachelor's degree from Buffalo State College, followed by a master's of science degree in financial services from The American College, where he was awarded graduate certificates in estate planning and taxation, and financial asset management. In order to keep current and continue to provide the most advanced, cutting-edge investment strategies and financial planning solutions, Rick regularly attends top-level symposiums and focus workshops in these fields. Rick’s professional affiliations include membership in the National Association of Insurance and Financial Advisors and the Society of Financial Service Professionals, where he participates in a pro-bono project to provide one-on-one financial counseling to address the needs of individuals and families stricken with multiple sclerosis. Joanna joined Acorn Consulting in 2004 to assist with all areas of client service. Her careful attention to clients’ needs continues to help strengthen our long-standing client relationships. 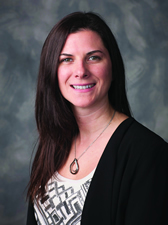 After earning an undergraduate degree in Psychology from Ramapo College of New Jersey, Joanna continued on to complete the financial planning certification program at Fairleigh Dickinson University. Joanna also holds insurance and general securities licenses. Since becoming an Investment Advisor Representative in 2014, Joanna is an integral part of the advisory service platform at Acorn, focusing on planning and financial education for new clients. Understanding that retirement planning is an important and complex issue, Joanna earned the Retirement Income Certified Professional® designation from The American College in 2017 to help our clients achieve their individual retirement goals. In order to enforce her commitment to providing comprehensive financial advice, Joanna went on to become a CERTIFIED FINANCIAL PLANNERTM professional, later that year. In her current role as Acorn’s Director of Client Services, Joanna is also responsible for maintaining a high level of personalized services for all clients. 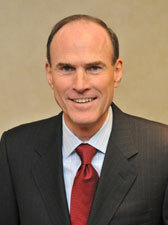 Butch began his career in financial services with AXA Advisors in 2003. He completed the state licensing requirements in life and health insurance, general securities and investment advisor representative. 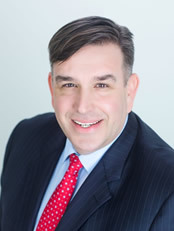 During his time at AXA, Butch earned a Financial Planning Certificate from Fairleigh Dickinson Universityand completed the requirements for the CERTIFIED FINANCIAL PLANNER™ certification in 2008. In 2010, Butch joined Hudson Financial Group, a boutique registered investment advisor in New York state’s Hudson Valley, where he set his focus on financial planning and investment management. Butch was also an integral part of their income tax department, preparing income tax returns and providing ongoing tax planning and financial advice to their clients. Butch brings his strong background in investment management and tax planning to Acorn Consulting. His focus will be on developing tax-managed investment strategies and financial planning, for new and existing clients. Butch earned a bachelor’s degree in financial management from Quinnipiac University. Prior to starting his career in financial services, Butch was a PGA Golf Professional.